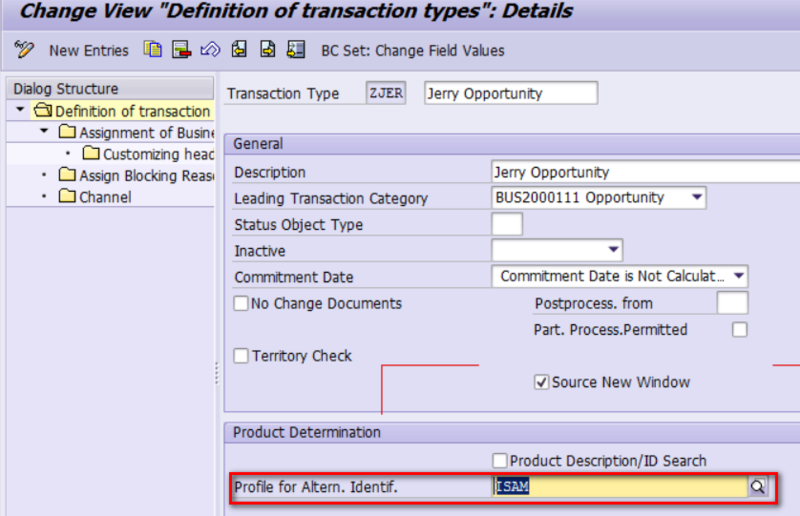 When you maintain Opportunity line item and try to maintain a product, you can enter the alternative ID of a given product instead of the product ID. 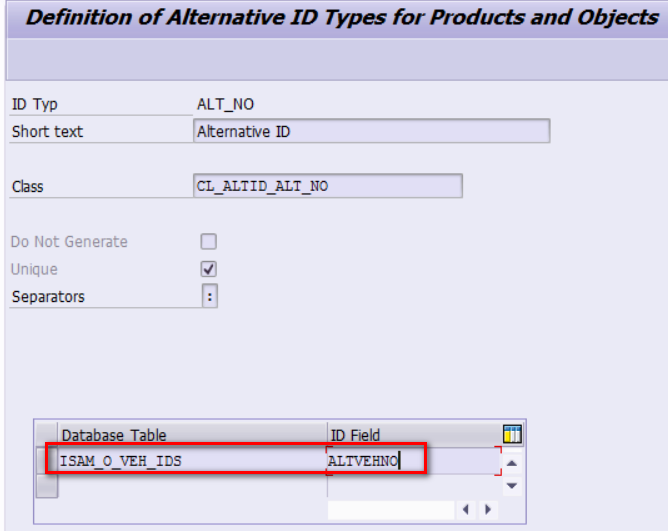 It is expected that the corresponding product identified by the alternative ID could be determined successfully. 3. 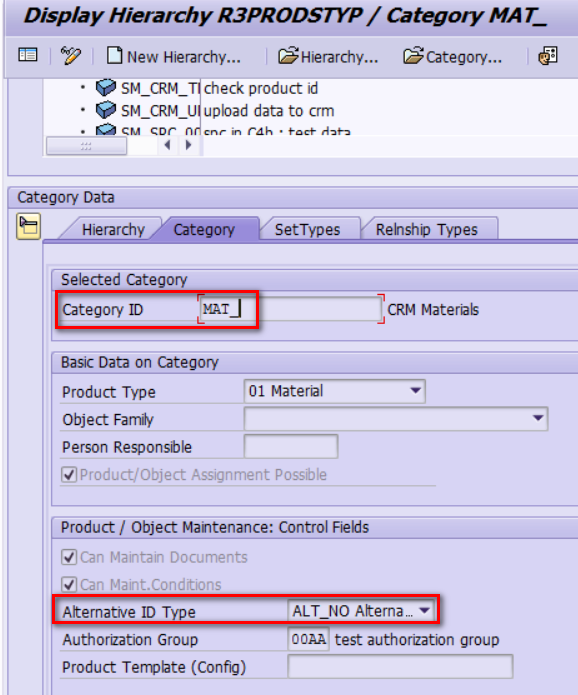 In tcode COMM_HIERARCHY, assign ALT_NO to product category. 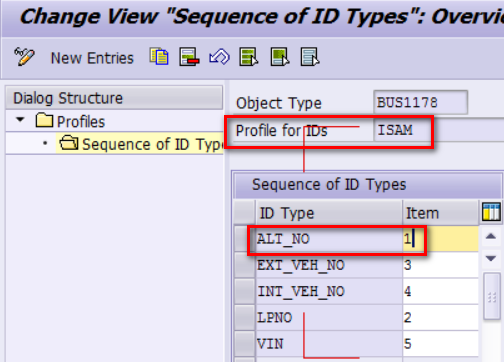 The settype ISAM_O_VEH_IDS must also be assigned to category. 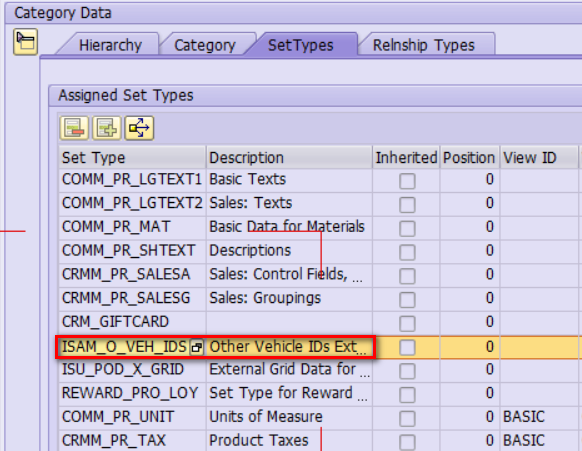 And the product could successfully be determined. 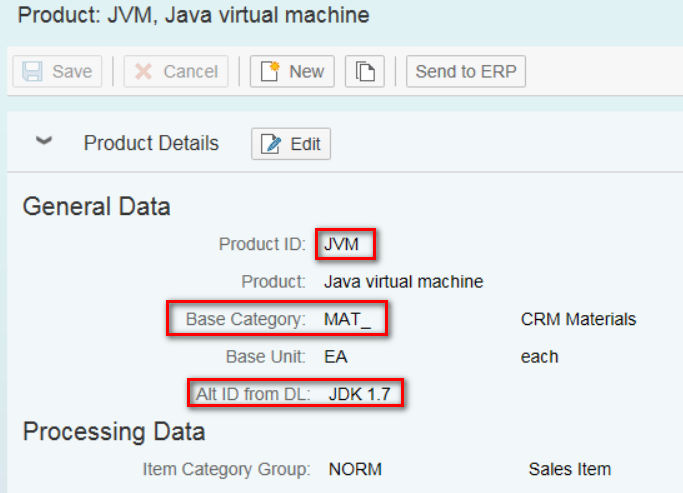 Click the hyperlinks in the two columns and still the product overview page could be reached. 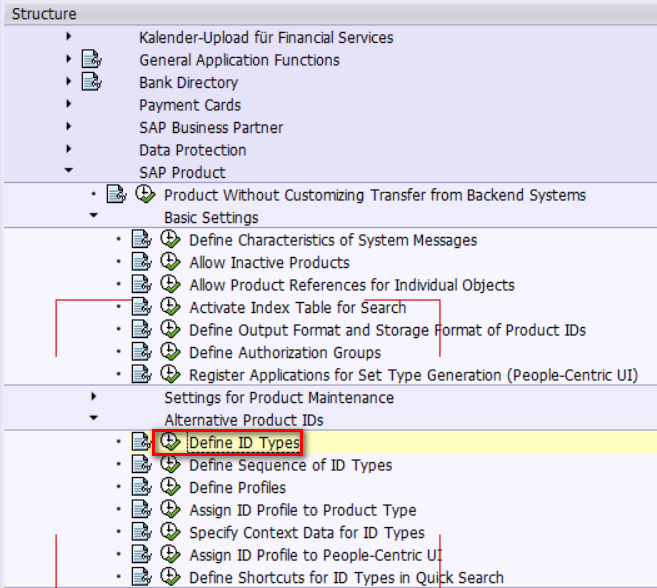 If determination does not work as expected, you can debug the function module CRM_ORDERADM_I_PROD_DETERM_OW for trouble shooting.